Scrolling through Instagram and all its tantalizing pictures of dreamy food and faraway locales, it is incredibly difficult to not pack our bags and instantly disappear somewhere fantastic. But how do we cultivate that same sense of wanderlust in little ones who seem to find life totally complete at the neighborhood playground? 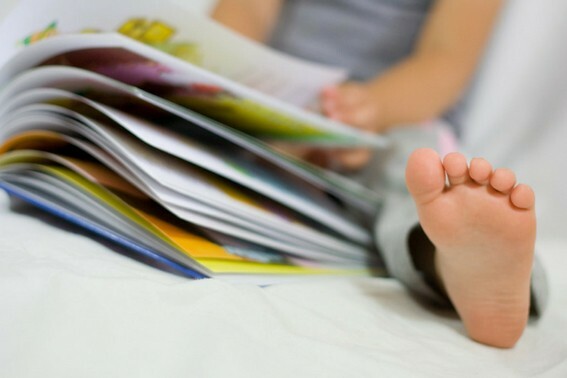 Maybe the easiest way to connect kids to travel in a tangible way is through books. When we started traveling to different time zones, a book called At the Same Moment, Around the World was a great book to help introduce the complex thought that it might be a different time in Hawaii, Seattle, or Japan. And then we discovered a book called Maps. This book has stayed on our coffee table since the moment it arrived in our house years ago. There are so many interesting pictures and names to read and places to wonder about in this book. If my guys ever have a few spare minutes to sit and read, this is usually the book they choose. We actually keep the rest of these books close at hand too: A book called The 50 States: Explore the U.S.A. has gorgeous pictures and facts about all the states. A Lonely Planet World Atlas is great for dreaming about new places to explore. This is the World is a compilation of the popular “This is” series books about big cities in the world by Miroslav Sasek. We read “This is Paris” before visiting Paris a few years ago and it was helpful for my kids to learn about the places in Paris we were visiting before we got there. Seeing places in books first made then more exciting and important to my kids and they were a lot more engaged with our trip. Our most recent travel book purchase is a book called City Atlas: Travel the World with 30 City Maps. I hope it helps provide inspiration for our next trip! 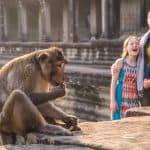 Does your family love to read about travel? Do you have a travel-themed book to recommend?